Reach the full genetic potential of your crops with Emerald Harvest Cali Pro Bloom A & B, our complete 2-part base nutrient series. 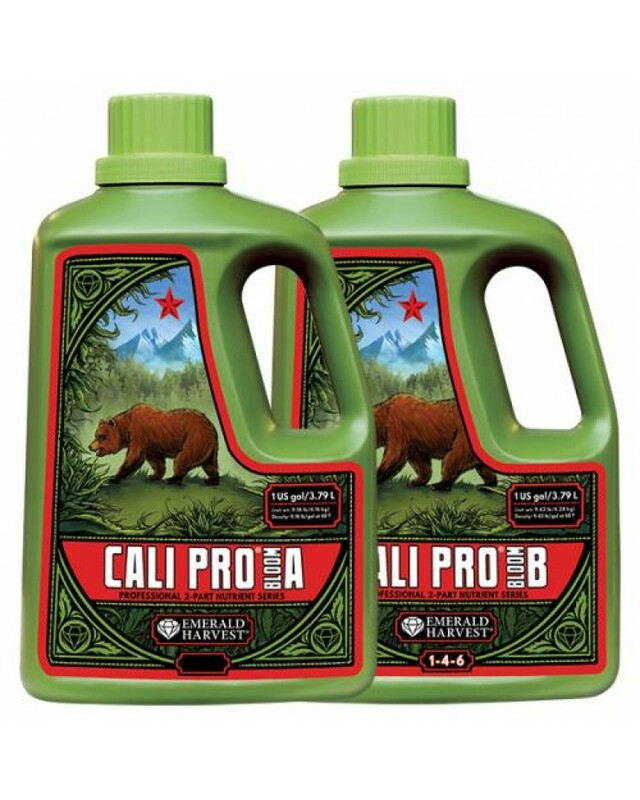 Cali Pro is a nitrogen-rich fertilizer that nourishes your high-yield, indoor-grown crops with the essential elements they need to develop strong stalks and stems and support a robust harvest. Rich in phosphorus, potassium and other essential plant nutrients needed for vigorous fruiting and flowering, Cali Pro also contains trace elements such as chelated iron, cobalt, manganese and zinc. Use Cali Pro Bloom A & B during flowering.